On February 16, 2014, His Excellency the Most Rev. 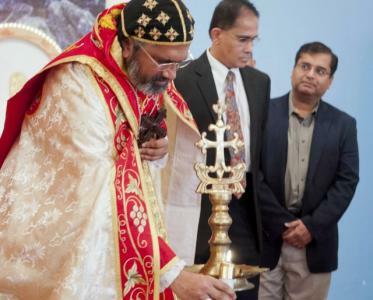 Thomas Mar Eusebius inaugurated the new Syro-Malankara Catholic Mission in San Jose, California. 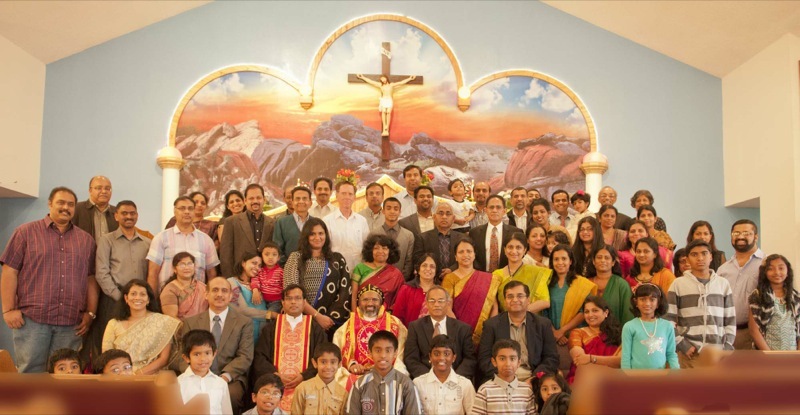 The function was held at the Knanaya Catholic church in San Jose. At 9.30 am. His Excellency was given a liturgical reception at the entrance of the church. Then His Excellency celebrated the Holy Eucharist with our Faithful in the San Francisco Bay area, after which the mission was officially inaugurated and the website of the mission was launched. Rev. Fr. Kuriakose Mambrakkatt, the priest in charge of our community in Los Angeles concelebrated the Holy Mass. After the services in the church, everybody gathered at the house of Mr. Moni Mathew where they participated in an agape and had a sharing session with His Excellency. Rev. Fr. Kuriakose Mambrakatt shall be in charge of this mission. The patron of the mission is St. Jude.